In what appears to be an effort to undermine the United States sanctions against Russia, China indicated to its state-owned Xinhua news agency that the government will agree during Russian President Putin’s May 20-21st visit to Shanghai to invest $18.46 billion in the Crimea. The amount of the investment is highly symbolic, since it exceeds the $17 billion International Monetary Fund (IMF) loan to the Ukraine. The Chinese action is part of a series of retaliatory responses to President Obama’s Asian trip in April that was dubbed by Asian media as the “China containment tour.” China and Russia are seeking to develop their own enhanced relationship to strategically contain the United States. He added, “I’d say not only are they ignoring U.S./E.U. sanctions, they’re actually taking advantage of them.” Beijing perceived U.S. President Obama’s late April trip to four Asian countries as an effort by the United States to interfere in their regional affairs. The President declared in Japan that a group of islands, claimed by both Japan and China, were covered by America’s security treaty with Japan. He followed up a few days later in the Philippines by inking of a 10-year agreement to increase U.S. forces there. In direct retaliation to Obama’s actions, the Chinese military and state-controlled oil monopoly, CNOCC, moved a deep-water drilling rig to a spot just 120 miles off the coast of Vietnam on July 3rd. Vietnam claims the area as their territorial waters and the Chinese drilling site is in an oil exploration block where Vietnam’s state-owned oil monopoly and America’s ExxonMobil have discovered vast oil and gas reserves. The move sparked state-sponsored anti-Chinese riots across Vietnam that caused 27 deaths and at least 100 people wounded. Stratfor Global Intelligence reported that China will sign a memorandum of understanding with Russia on a 30-year natural gas supply deal. 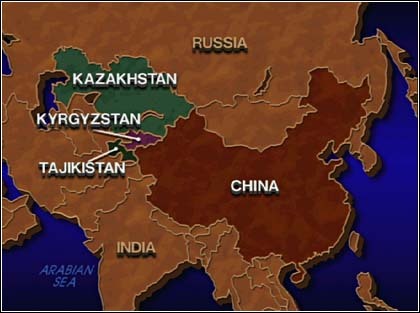 But China also intends to start negotiations on the financing and feasibility of various Crimean projects, including, building a bridge across the Kerch Strait to connect the Crimea and Russian mainland, expanding Crimean ports, constructing solar power facilities, and creating special economic zones for manufacturing. Russia will portray the investments as demonstration of solidarity with the Chinese and as international acceptance of Russia’s right to annex the Crimea. President Putin said after his first day of negotiations with his Chinese counterpart Xi Jinping that the two countries have agreed to coordinate foreign policy steps more closely. “We have common priorities both on the global and regional scale.” Adding that Russia and China see eye-to-eye on most issues, have lots of plans and are determined to put them into practice. By combining China’s financial strength with Russia’s military strength, both nations can demonstrate to the world that they cannot easily contained by the United States and its allies. The initiative leverages China’s capability to make aggressive moves against the interests of nearby countries -- much like Russia is doing in Ukraine.